A few years back I had a hankering to go see my first eve live experience again. That band is Whitesnake obviously; otherwise it would be in a different write-up. Supporting or should I say equal to Def Leppard on the bill at the Liverpool Arena, I had not seen such a poor gig since Schenker’s issue supporting the Scorps a couple of years earlier. Coverdale was poor at best. He redeemed himself more recently on the Journey bill in Manchester where a much improved (?) and hopefully not enhanced version was witnessed. 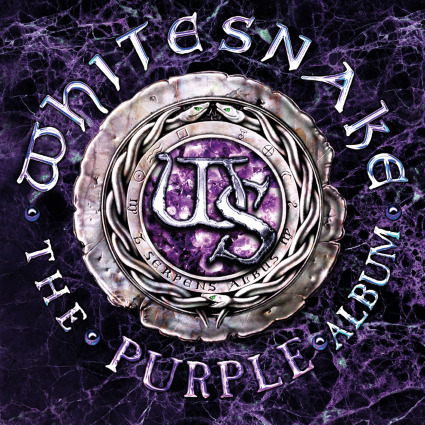 “In 2012 I was told by a representative of the old PURPLE management that keyboard maestro Jon Lord, who had worked with me in WHITESNAKE, too, had been diagnosed in with cancer and that Jon’s wish on his recovery would be that we put together a PURPLE reunion of sorts. I agreed to be there for him. As we all know, sadly he didn’t recover. After Jon passed away, I felt it necessary to reach out to Ritchie Blackmore to express the grief at Jon’s loss and to hopefully bury any unpleasant hatchets we’d been throwing at other for decades. It was during our reconnect that we discussed the possibility of some kind of a PURPLE reunion or a ‘BLACKMORE/COVERDALE’ project. During the time we were talking, I started listening to our old albums and began working on ideas & new approaches to suggest, rearranging some of our original works.” Unfortunately, our ideas on the reunion aspect didn’t quite gel, so I respectfully withdrew from further discussions, though I am happy to say we did bury old animosities and we have thankfully stayed in touch. It was Coverdale’s wife, Cindy who suggested that he take his ideas & make a new WHITESNAKE studio album celebrating his legacy from his time with DEEP PURPLE. “And that’s how it all happened. I discussed the idea with my musicians & our record company & everyone was very positive. So it was all systems go for ‘The PURPLE Album’. In writing (in theory), a proposed reunion would have been awesome. Problem is, Ritchie Blackmore is too far into his mandolin-induced coma to snap out of it and do something worthwhile (some members of Rainbow have been trying for years). I like the idea of revisiting old classics, but lets face it, THEY ARE CLASSICS! So why tamper with the evidence. I suppose if anyone has a right to cover these songs then it should be Coverdale. ‘Burn’ (the album) is my favourite of all the Purple albums, and my son has his orders to play ‘Burn’ (the song) at my cremation! Me and Mk3 (and a little bit of Mk4) Deep Purple go back a long way you see, so is it a loving recreation, a twist on classics, or an unmitigated disaster?? Thankfully it’s not a disaster, but its not exactly fantastic either. I suspect a lot of these songs will be wheeled out later in the year on the UK tour, and that for me alone will be a last chance to bask in Coverdale’s glory and legacy. The album though is a different proposition. When WS metalled up ‘Cryin In The Rain’ and ‘Here I Go Again’ I wasn’t over the moon initially. Yes they grew on me, but the originals outstripped the new pretty much as they do here today. Burn is almost true to the original, thank God. Beach and Hoekstra combine to fill in the gaps that a twin guitar attack can do. Coverdale’s voice is slightly whiney, but lets be clear here, the bloke is well into his 60s. The Glenn Hughes vocals are obviously missing, but you don’t realize that much to be fair. The opening few bars of ‘You Fool No One’ (slightly apt) sound as if it’s being covered by Blackfoot. ‘Love Child’ is almost wrong to cover. The vocals are somewhat strained, in part feels like Barry Gibb is covering the song. As I suspected from recent gigs that Coverdale’s vocals are best served on the lower register songs – ‘Sail Away’ & ‘Soldier Of Fortune’ show that the great man can still kick it. ‘Sail Away’ in particular has a nice slant on the original, a stripped back acoustical version which very much suits the 21st Century version of Coverdale and Whitesnake. He doesn’t go for the screaming of the original, keeping it held back and restrained and is a pleasant surprise. ‘The Gypsy’ is one of the best on the album, and the sound is superb, doesn’t star too far from the ‘Stormbringer’ original. This song alone justifies the re-working, its that good. Now if Glenn Hughes had been asked to contribute, this would have been a different outcome I suspect…? I think I’m being too critical based purely on where the originals sit with me. Then again, if you’re going to cover classic songs then be prepared for some criticism. Its not all bad, its not all great either. I’ll leave the final word for Coverdale….“There was absolutely no intention to compete, or compare with the original recordings. We just wanted to play these songs the best we could and this is how we wanted to play them,“ says Coverdale. Do you know what, he’s 100% spot on. I just hope I can afford the money for the tour in Dec as its not cheap!